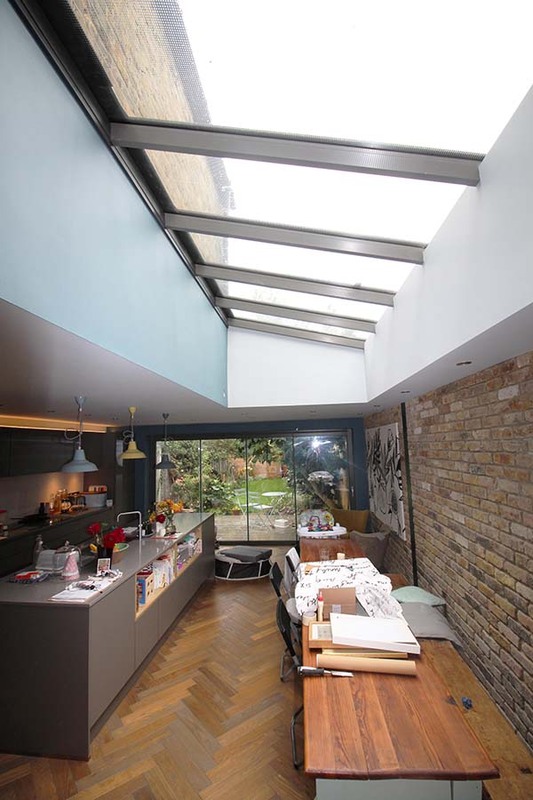 Hardcastle Architects were appointed to design a side return kitchen extension to this large Victorian terraced house in Lower Clapton, East London. 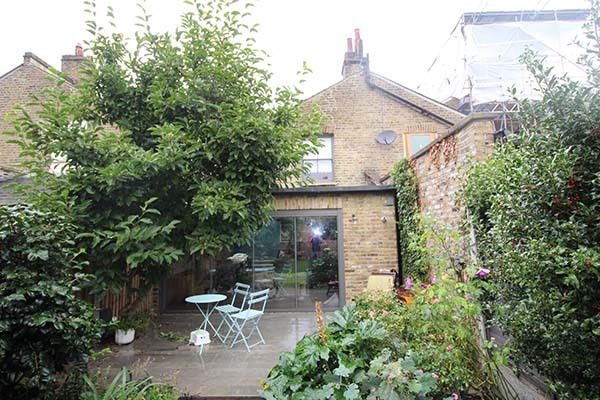 A new steel structural frame was installed to remove the existing side and rear walls of the kitchen. 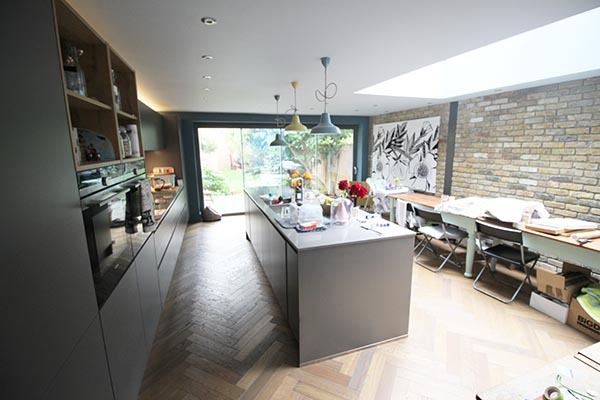 This provided a much larger open plan kitchen with space for a large dining table, some soft seating, a WC and small utility room. 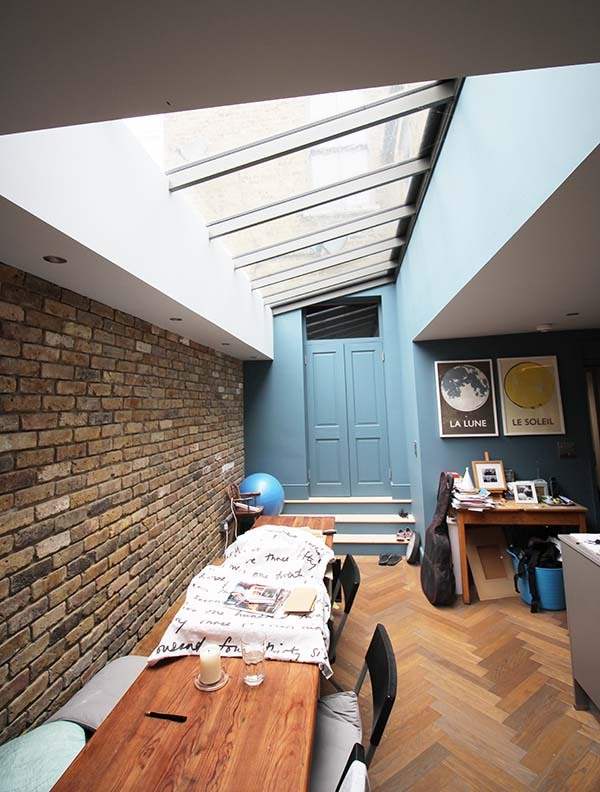 The majority of the side extension roof over the dining table was glazed to ensure the kitchen and rear reception rooms enjoyed good levels of natural light. 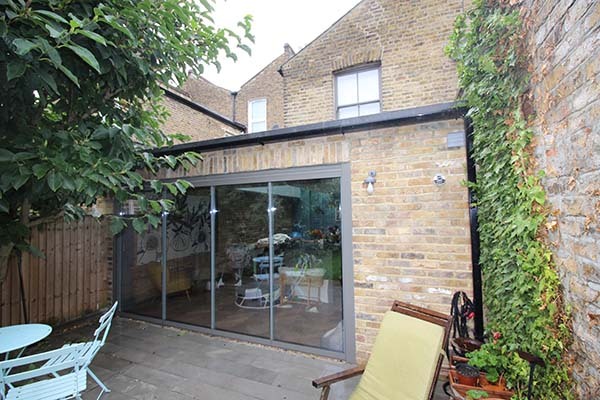 The garden elevation was fully glazed with a minimally framed sliding glass door screen to provide open views and access out into the garden.